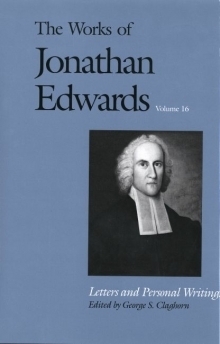 This volume gathers together for the first time all known extant letters of Jonathan Edwards, along with his major personal writings. For more than three decades George S. Claghorn has scoured America, Great Britain, and Scotland for letters and documents by and about Edwards. The result is an unparalleled compendium of 235 letters—including 116 never before published or never reprinted since Edwards’s death—and four autobiographical texts—Edwards’ meditation "On Sarah Pierpont," his future wife, and "Diary," "Resolutions," and "Personal Narrative." These letters and personal writings reveal the private man behind the treatises and sermons. They trace his relations with parents, siblings, college classmates, friends, and family, as well as with political, religious, and educational leaders of his day. New documents include Edwards’ only known statement on slavery and letters on the Indian mission at Stockbridge, Massachusetts, that display Edwards’ interest in native Americans and his efforts on their behalf. These writings show the human face of Edwards as he applied theological and philosophical insights to the events of his daily life. They provide an unprecedented resource for understanding the man, his times, and his personal connections. George S. Claghorn is professor of philosophy at West Chester University.